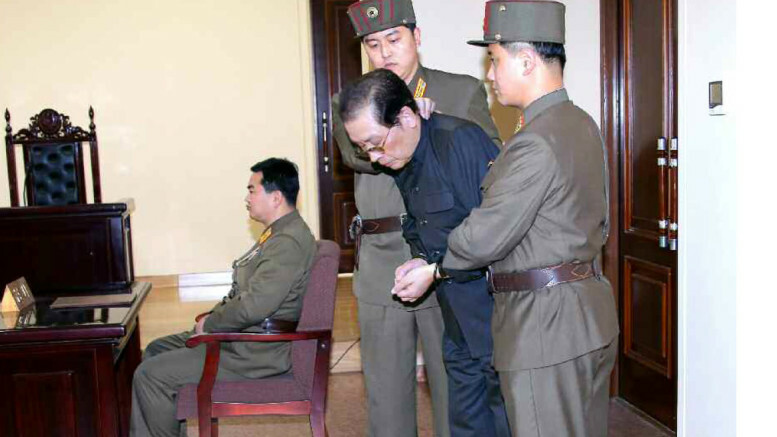 North Korean state media’s coverage of the arrest, trial and subsequent execution of Jang Song Thaek was “tantamount to mass intimidation,” Reporters Without Borders said on Thursday. “Although only to be expected from one of the world’s worst dictatorships, such manipulation of news and information is disturbing,” the Paris-based group said in a statement. One of the things that made Jang’s arrest notable was the way it was done in public. State TV, radio and newspapers devoted a considerable amount of time to denouncing him for what were at the time accused crimes. Later in the week, the media carried news of his trial, his apparent admission of guilt and his execution. That was followed by an information purge that has seen thousands of articles removed from the websites of the state-run Korean Central News Agency and party-run Rodong Sinmun newspaper. “This propaganda has highlighted the harshness of a regime that has not hesitated to execute one of the party’s most senior officials, a four-star general and uncle of the currently leader. Such an atmosphere of terror will weigh heavily on the little freedom of information remaining in such a closely-watched society,” Reporters without Borders said. North Korea ranks at position 178 on the group’s press freedom index – one place from the bottom. The only nation ranked below the DPRK was Eritrea.